It was 1987 and my friend and I were old enough to go off by ourselves around the resort which is probably the main factor in my long standing love affair with the place, it offered a sudden and amazing freedom as we chose where we wanted to go and what we wanted to do, a feeling that was similar in some ways with the adult weekends we went on in recent years. I've always been a party girl, loved any excuse to get dressed up, have a drink or three and dance until my feet hurt but it's not just the party bit that's the fun part for me, I love every aspect of the planning and the run up to it as well. Nowadays, it's all about the kids and that involves less debates over which outfit to wear, who's going to be there and less alcohol and instead it's all about the cake, the games, the party bags and decorations! I have great memories of my birthday parties as a child, and loved the excitement of the weeks leading up to it, from writing the invites and choosing the theme, although I think I had the same theme (Care bears) for several years in a row! From pass the parcel, to musical chairs and helping to fill party bags I loved every bit of it and I hope my boys will enjoy all their birthday parties as much as I did. 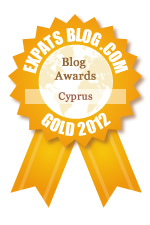 You may have noticed that Cyprus has been making the world news recently which is very unusual for our little island. You may have also noticed that I've not commented on the situation at all, something which is unusual for a blogger! The reason for this is simple, I basically have no idea what is going on, and certainly don't know enough about the situation to explain it or even comment on it publicly. There are many many sites out there with stories on the crisis - so if you want the actual facts then google is your friend, just don't expect to hear simple and correct information. I've never heard so many rumours and scaremongering in my life, I appreciate the island is in huge difficulties and it's a serious situation affecting thousands of people and as yet no one really knows how it all will pan out but from reading some of the news reports you'd think the world was actually ending right now! Louka trying spaghetti for the first time, he looked confused then laughed at it! I love seeing the boys starting to play together, Leo is generally very good although sometimes he forgets to share! Another photo of Louka in his highchair! Today was his first banana, he had lots of fun mushing that about! Today I went to visit my friend Sam who gave birth to her second baby on Monday, I had a cuddle with the gorgeous little Jaxon and could not help but marvel how small he is, although weighing slightly less than Louka did it seemed to me that surely Louka could never have been that small! How could I have forgotten already, he's only just over 6 months old! Surely this was only yesterday? He's growing so fast, now sitting up, rolling all over the place, grabbing everything and anything he can get his hands on to shove in his mouth and has the most infectious laugh ever. Now, at less than 7 months, we've changed his car seat - I don't make small babies and unfortunately that means they grow out of everything usually too early. 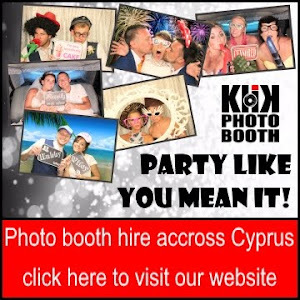 Every year one of the highlights of the Cypriot calendar is Carnival time, dating back to Ancient Greek times celebrations were held in honour of the God Dionysus and in Cyprus Carnival is associated with the beginning of the fasting leading up to Easter. Celebrations run 10 days up to the final big parades on the Sunday before 'Green Monday' - the start of lent, 40 days before Orthodox Easter. 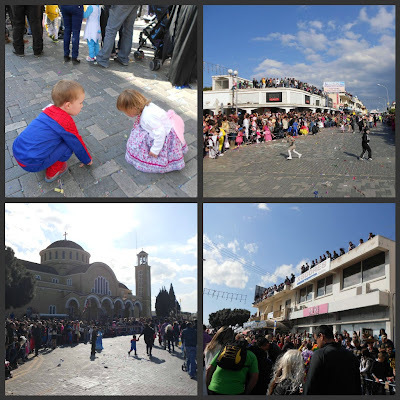 The biggest celebrations on the island are held in Limassol but our local town also has a carnival, we went last year but Leo was still a little young to appreciate it. This year I took him again all proudly dressed as Spiderman and I had intended to find a spot just outside of the main square to watch the parade, however I changed my mind when I realised we'd be able to tag along with some friends of ours and actually walk in the parade too! My lovely boys on Mother's Day. Leo is now getting 'homework'. They choose a book each week to take home and read, then to draw a picture or something relating to it. I'm helping him as much a I can but they are REALLY hard to read! Having a go on the see-saw together in the park opposite school, every day he wants to play before we go home, we do usually stop for a quick play! This is the cute little face I woke up to on Wednesday, it was probably the first time he has woken up happy and it had been possibly the best nights sleep he's ever had! We had a lovely afternoon on Thursday in the sunshine when we went for a walk along a stretch of the beach path we've not explored before. This week we have had several days of gorgeous weather, spring arrived suddenly and t-shirts and flip flops made a re-appearance. The summer season starts in just a couple of weeks and I've noticed people starting to get excited about it. Of course for us, and many people here once the summer starts in April life changes as people go back to work for the season so now is a good time to get out and about to do things together. On Thursday we went for a walk and picnic after school on the Agia Napa - Protaras beach path, a section we've never walked before. Not being able to resist a deserted beach Leo and I had a walk on the sand too, but as we weren't really prepared for a beach trip he ended up in his pants while I rolled up my trousers and tried to explain why I was not taking mine off too! I tried to get some nice photos of Leo but he was mainly running ahead so it wasn't too successful! A while ago I saw this great alternative play dough over on MumCentral. It looked easy enough to make and even better a nice cheap activity! 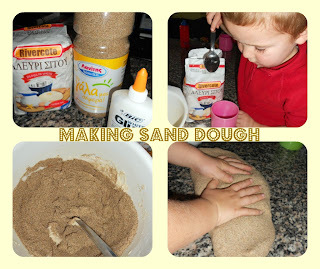 We collected some sand on our recent beach trip and we had the other ingredients in the cupboard already. Mix in the glue (I made a dip in the dough and just kneaded it through) and knead until the dough becomes the texture of rough feeling playdough. This week's Gallery prompt is The Letter C.
It was fairly obvious which C I was going to use, I did think for a while but it HAD to be Cyprus really! but the problem was choosing the photo as I have hundreds! 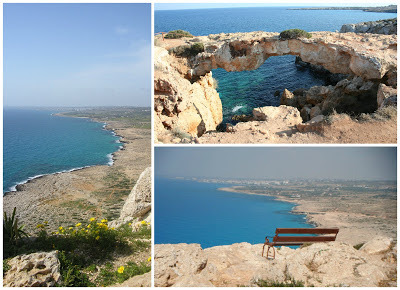 I decided to narrow it down by picking something in Cyprus beginning with C.
I love Cape Greco, its one place we have taken every single visitor to. Cape Greco is the headland between Agia Napa and Protaras and is the eastern most point of Europe (the Karpas peninsula would be but that is in northern Cyprus and therefore not officially recognised as being in Europe). I still couldn't choose just one photo, I struggled even choosing which photo to use in the collages! It's such a beautiful area you just can't help taking photos every time you go. For my Mum, this mother's day I decided that Leo and I would make some cakes and I was looking for something a but different to try out so I headed straight to Jenny's blog (Mummy Mishaps) to see what unusual ideas she'd come up with recently. 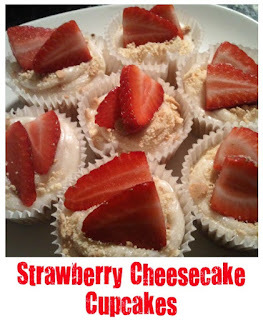 As you'd expect from someone who loves her cake, Jenny didn't let me down, and I decided to give her 'Strawberry Cheesecake Cupcakes' a go. Whisk the egg white until it forms soft peaks and set aside for later. Mix the butter, sugar and cream cheese until creamy, then add the flour, baking powder, egg and egg yolk, mixing until all well combined. Regular readers will know that I am very interested in learning the Greek language and helping Leo to learn it (or having him help me which is increasingly the case now!) I've been learning Greek now via many different methods for several years now but although I always encourage Leo, I don't want to try and teach him myself as I don't wish to confuse him by not telling him things correctly. Greek is not one of the most common languages when it comes to learning materials, and is often not one of the languages available so I was really pleased to see that Dino Lingo - Language for kids have not left it out! 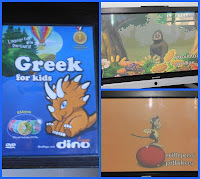 We recently received a set of Dino Lingo Greek DVDs and they have gone down very well so far. It's not often I come up with a creative idea that's all my own and not inspired by Pinterest or another blog post but yesterday I think Leo and I excelled ourselves! 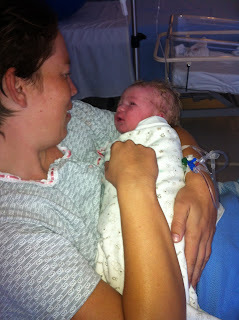 When we started I had no plan whatsoever, only that we were going to make a card or picture for Nana for Mothers Day. I gave Leo some 'roly paints' and some paper and let him get on with it. He stared painting a butterfly so I showed him how to paint on one side of the paper and then fold it to duplicate the pattern. In typical Leo style he then decided he would do that but only use one colour, therefore kind of missing the point! 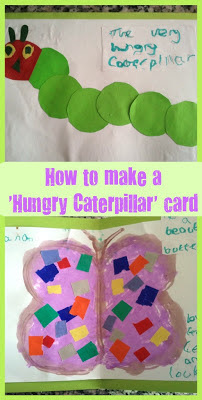 As pretty as an all purple butterfly was, we agreed that it should have more colours so abandoning the paints we found some shiny coloured paper to improve it. With me holding the paper, Leo cut all the bits himself and stuck them on. Still the bugs lingered on, Leo still on antibiotics for his ear infection, Louka was all snotty and coughing again, I had toothache and Aaron was still suffering from a bad cold. I finally got round to stopping and taking a photo of this cart that I have been driving past for ages. I was so pleased with Leo's colouring and writing today! Just recently he's started to stay in the lines a bit more and to do things in the 'right' colours rather than scribbling over everything in black and refusing to do anything else. He checked the spelling of 'Mummy' and then wrote that all by himself too! A new experience today (well, new for Louka and a flashback for me!) when Louka realised he can reach things when he's scooting around in his baby walker. I turned round to see him taking Leo's books off the shelf one by one looking at then then throwing them on the floor. I'd love to know which one he was actually looking for!